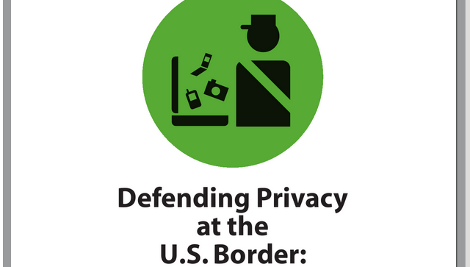 The Electronic Frontier Foundation, long-time defenders of the common man’s rights in the electronic realm, has published a guide to keeping your digital devices private when entering the United States. It seems the defenders of freedom and liberty (ICE, DHS, TSA, and CBP) are able to take a few freedoms with your liberty at a border crossing by seizing your devices and copies of the data they store for up to five days. This requires no suspicion of wrongdoing, and copies of this data may be shared with other agencies thereby negating the five day limit. Do you have a reason to protect your digital property? This is discussed in the paper. It may be confidential information, by way of a business contract or professional relationship (Doctors, Lawyers, Journalists, etc.). Or you may just want to keep your privacy on principle. No matter what your stance, the EFF has covered all the bases in this intriguing read. We think the best advice they give is to make an encrypted backup of your data on the internet, blank your computer before the border crossing, and restore it when you get to your destination. If you don’t have the data with you, it can’t be compromised. It that’s not an option, they have plenty of guidelines on cryptographic techniques. Looks like the men in black have paid [Kyle McDonald] a little visit. 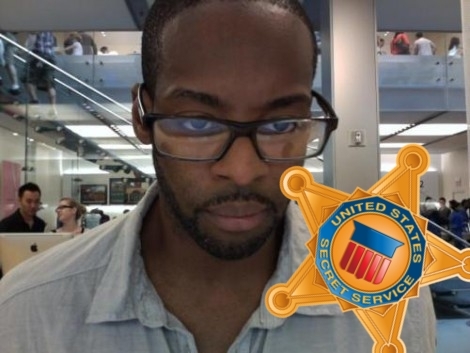 The United States Secret Service is investigating him for fraud and related activity for his People Staring At Computers project. We just took a look at that one yesterday, and were thankful that all he was doing was taking people’s pictures and not stealing their information. Looks like [Uncle Sam] wasn’t being as lenient–or it could have been Apple that did the complaining since mums the word from the corporate giant. [Kyle’s] also keeping his mouth shut after soliciting the advice of the Electronic Frontier Foundation. Since details are scarce, it’s time to play armchair lawyer. Let us know in the comments what you think [Kyle] might be up against, and whether we’ll see this thing hit the courts or not. And remember not to take those comments as legal advice since none of us actually know what we’re talking about. By the way, the gentleman seen above isn’t [Kyle], he’s one of the unsuspecting ‘victims’ with some wikimedia commons slapped in for effect.